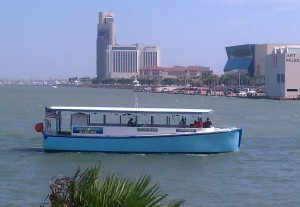 Let us show you a unique way to enjoy Corpus Christi Bay – from the water’s perspective. It’s always cooler on the water, the sounds of the sea and birds are always so relaxing, the soft rock and roll of boat from the water action melt away the tensions of life. And, you may luck out and see pelicans, sea birds, turtles and dolphin along the way. Don’t forget to bring your camera and a jacket for cooler weather. 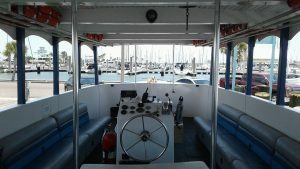 Take a ride aboard “Japonica” our BYOB one hour bay tour boat for a cruise around the bay or enjoy a relaxing 2 hour cruise aboard “Nell Betty II”, our 38′ Catalina sailboat. Last fall we added “Texas Tease,” a 74′ double deck party boat to our fleet, which has a liquor license and full bar, and is also weatherized on the first deck. When you return, do a little shopping at Cathy’s Boutique and Gifts, and have a meal at Tavern on the Bay. All three boats are available for private charter as well. Our boating schedule varies with the seasons, but expect us to operate at least one of the boats daily from May – Labor Day Weekend. 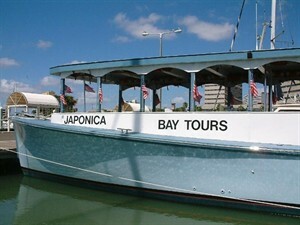 All of our Japonica and Nell Betty II cruises and tours are BYOB, so bring your favorite snacks and beverages along. Soda, bottled water and chips are available for sale on the boardwalk in front of the restaurant and also aboard the Japonica. Texas Tease has a liquor license, so no alcoholic beverages can be brought aboard. JAPONICA IS CURRENTLY OUT OF COMMISSION UNTIL THE LATTER PART OF APRIL FOR MAINTENANCE & A PAINT JOB. SO SORRY FOR THE INCONVENIENCE, BUT TEXAS TEASE WILL BE RUNNING AN EXPANDED SCHEDULE TO COMPENSATE FOR THE VOID. – SEE INFO BELOW IN THE SECTION ABOUT TEXAS TEASE! If you’re looking for fun, you’ve come to the right place! Let the bay breeze, salt air and sounds of the sea melt away your cares. 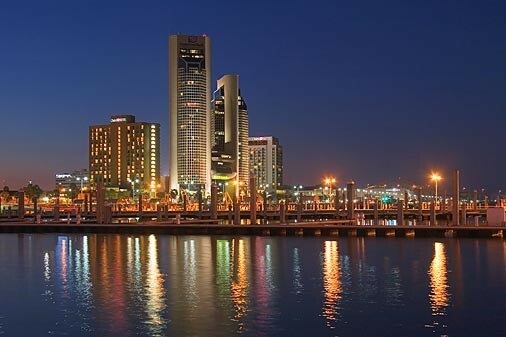 Revel in the sights and sounds of our beautiful downtown marina and cityscape in the heart of Corpus Christi Bay. 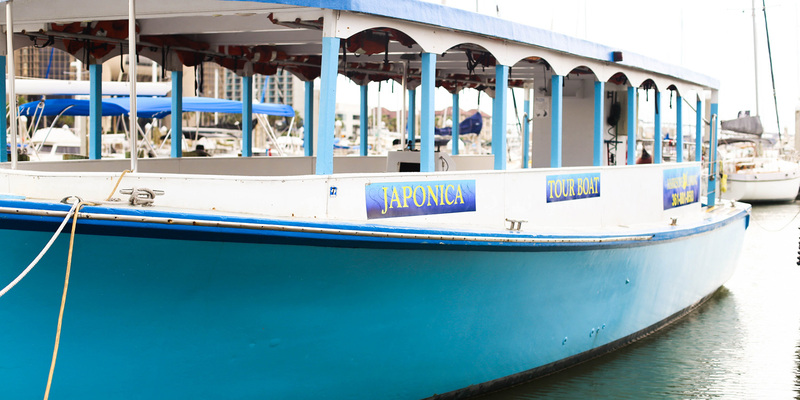 A relaxing ride on the “Japonica”, our 50 foot, open air touring boat will allow you to see the highlights of downtown Corpus Christi and experience a breathtaking view that cannot be seen from the coastline. You won’t want to miss the spectacular sight of signature Corpus Christi locations such as the Texas State Aquarium, USS Lexington, Art Museum of South Texas, American Bank Center, Federal Court House, downtown business and hotel district, city marina, Corpus Christi and Magee Beaches, and from a distance Texas A&M-Corpus Christi and Naval Air Station-Corpus Christi. Closed On Tuesdays and Wednesdays – Will be open DAILY beginning with Memorial Day Weekend. Seasonal Schedule at 10:15am – early mornings are best time to see dolphins after the local commercial fishing boats have returned from night fishing. We pack your box lunch & have it on board when you arrive, making it easy to enjoy an out-of-the-ordinary lunchtime excursion. Lunch box reservations are required no later than 10 am the day of the desired cruise. Meal options: 1) Shrimp salad on a bed of greens with sliced tomatoes and avocado; 2) Club sandwich; or 3) Southwest Chicken Wrap. All options include a bag of chips and canned soft drink or bottled water. Cost is $28.99 per person (includes boat fare). Available daily on the 11:30 and 12:45 cruises only. Call 361-881-8503 ext 2, for reservations. Come enjoy the Harbor Bridge lights at night and enjoy the spectacular light show. Private party rental available for your special event – $375/1st hour, $325 each hour thereafter or $175/additional half hour. Gratuity for crew and sales tax are additional charges. Maximum of 35 persons. B.Y.O.B., so bring your favorite snacks and beverages along. 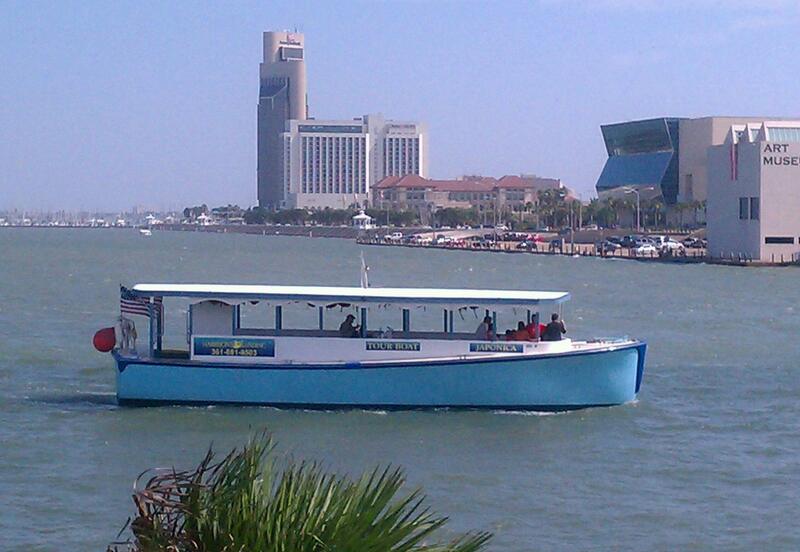 Texas Tease is a 74′ party boat to operate bay cruises, sunset cruises, party cruises, and private rentals. The boat has A/C on the first deck and is open air on the upper deck. A full bar is available during all cruises. Available for private charter as well. Let’s get the party started Coastal Bend! Sail away with us. 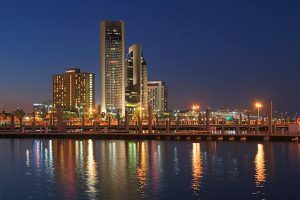 Whether you’re a first-timer or a seasoned sailor, let us show you the beauty of Corpus Christi’s skyline and bayfront from the dolphin’s perspective! Kick back and relax and let your stress melt away with the gentle rocking of the waves, and the sights and sounds of the water. We have multiple options available, but all require advance reservations. Short notice may work as long as we have a captain available. Our most popular option. Perfect for date night, vacation excursion, family outing, guys/girls night out, or for whatever other reason the sea is calling you. Maximum passenger count is 6. Call 361-881-8503, ext. 2 for schedule availability. We call this a shared or public cruise, as you may have other passengers aboard as well. 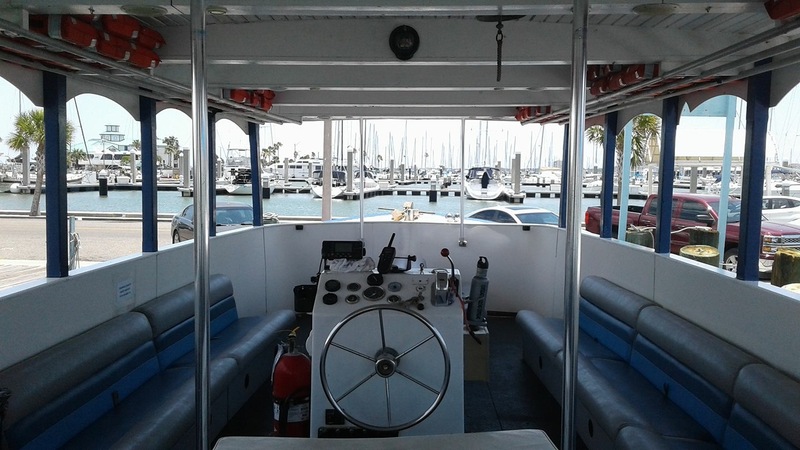 Relax or take the wheel for a two hour sail on the beautiful Corpus Christi Bay, and then enjoy a meal at our great waterfront restaurant, Tavern on the Bay! Each Cruise and Dinner Package includes a two hour sail and three-course dinner (dinner salad, any entrée (Surf & Turf not included), and key lime pie for dessert). This price does not include gratuity. Call (361) 881-8503 ext 2 for reservations and for additional questions. Interested in sailing or possibly looking for a new hobby? A sailboat can take you across the bay or around the world. On a vessel utilizing the natural force of the wind you become free of the bonds of shore. You’ve seen the sailboats in the bay. If you’re curious about sailing, now is the time to join us for 2 hours on the Corpus Christi Bay for our Introduction to Sailing mini-course. Perfect for a family. Come enjoy the adventure! Captains and Deck Hands are service providers. As such, gratuities are appreciated. Suggested gratuity is 15% of the charter fee. All cruises and charters require advance reservations and prepayment. If cancelled by phone at least 24 hours prior to the scheduled charter, a full refund will be issued. If less then 24 hours, only a 50% refund will be issued. Get your team out of the “bored” room and set sail on our yacht “classroom” for an adventure where team members will learn first-hand what it takes to work together. With the sun in your hair and the wind on your face, our Team Building course on the Water provides a dynamic, engaging, and high-energy setting for optimum learning that your team members will not soon forget. This exercise requires no previous sailing experience and is designed to engage all team members throughout the excursion. Our team building and leadership development programs are designed to help new and seasoned teams develop and practice vital skills, accomplish difficult tasks, improve performance, and have fun together. In minutes, your team will be sold on the thrill of harnessing the wind and the joy of their accomplishments achieved only through working together. Our sailing challenge highlights communication issues, leadership, problem-solving and strategic planning. All essential skill for working well together in the office and beyond. CUSTOMIZE YOUR TEAM BUILDING PROGRAM TODAY! Contact Us Now. Captains, Instructors, and Deck Hands are service providers. As such, gratuities are appreciated. Suggested gratuity is 15% of the charter fee.